If you are preparing to enter the world of metal scrapping, you would do well to learn some important metal terms to better understand the average worth of your junk when it comes time to sell it off to a scrap metal buyer. Continue reading to do just that! Scrap Metal – Scrap metal is any metal commodity or material that has been junked. Metal Recycling – Metal recycling is the process of reusing metal to make new metal commodities and resources. Metal Reprocessing – Metal reprocessing is the process of dismantling and melting down scrap metal, and making it into something new. Ferrous Metal – Ferrous metal is any metal that contains iron. Since iron is magnetic, you can use a magnet to test whether or not a metal is ferrous. Non-Ferrous Metal – Non-ferrous metal is any metal that DOES NOT contain iron. This means that a magnet would not stick. Precious Metals – Precious metals are metals that are naturally-occurring and have high economic value, such as gold, silver, platinum, and titanium. Noble Metal – Nobles metals can be both precious and non-precious, depending on how you look at them. See our article, “A Comparison of Precious Metals and Noble Metals” to understand more about noble metals. Red Metals – Red metals are copper-based, and include brass, bronze, BeCu, and tellurium copper. Heavy Metals – Although an official scientific definition for heavy metal doesn’t exist, most authorities suggest they are metals that are dense and usually toxic at low concentrations. Examples of common metals that are toxic and have high density include lead, mercury, and bismuth. XRF Analyzer – An XRF analyzer is a very expensive piece of technology that reads the metal values within a commodity. They are often used at metal recycling and scrap metal centers to assess metal volume and values. Electronic Platform Scales – Electronic platform scales are another type of technology used as reputable scrap metal centers. They are used to weigh large cargoes, such as vehicles, equipment, and more. Scrap Metal Buyer – A professional who specializes in purchasing and reprocessing scrap metal from those who wish to sell their junk. Call Garden City Iron & Metal at 1-888-586-5322 to sell scrap metal for cash in Central and Southern Indiana. We pay cash on the spot for both ferrous and non-ferrous metals, including junk cars, automotive parts, appliances, construction equipment, motorized farming equipment, and more. 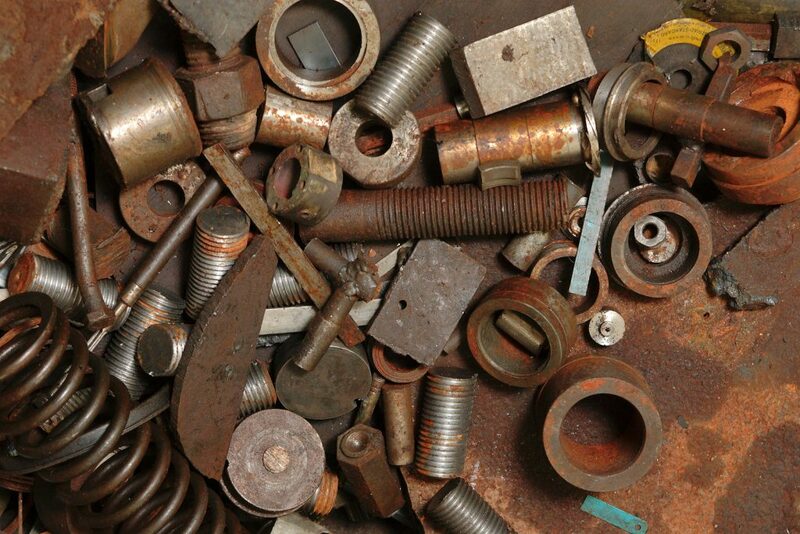 Request a free estimate for your scrap metal, today. This entry was posted in Metal and tagged metal definitions, nolbe metal definition, precious metal definition, red metal definition, scrap metal facts, sell scrap metal Indianapolis. Bookmark the permalink.